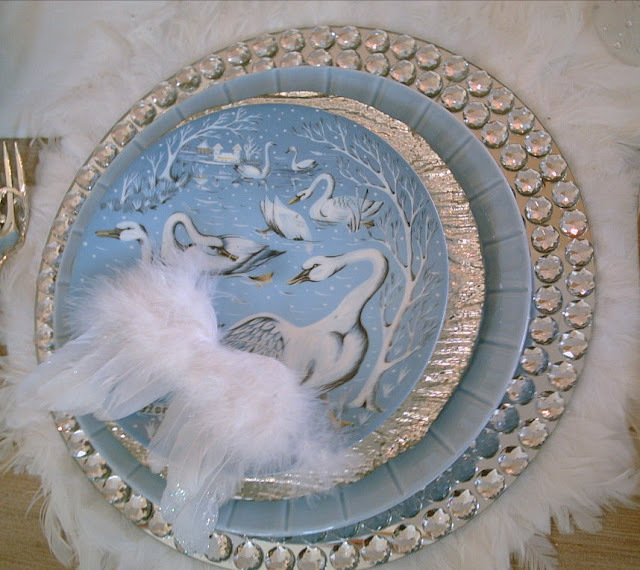 The plate stack has a white feathered placemat on bottom, a mirrored charger, a Kmart Martha Stewart blue dinner plate. A silver/gold salad plate and the Limoges swan plate on top. 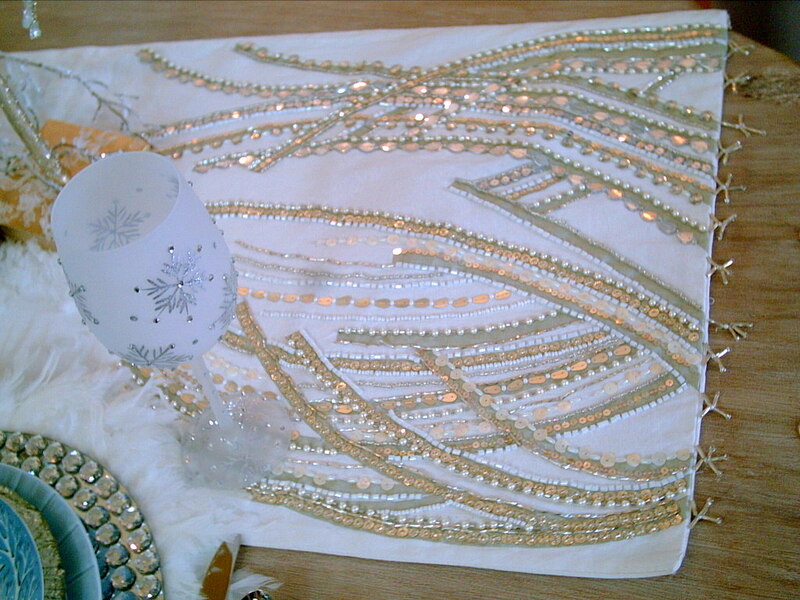 The only new purchase this year was the beaded, mirrored, and pearled runner from Home Goods. 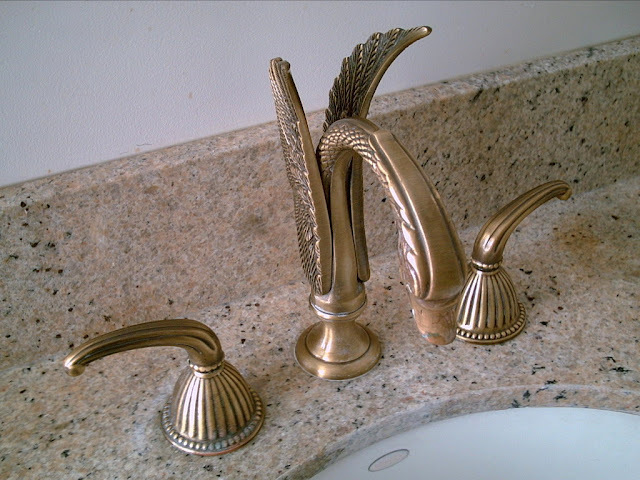 The design reminds me of ripples of water or could be reeds at the edge of the water. 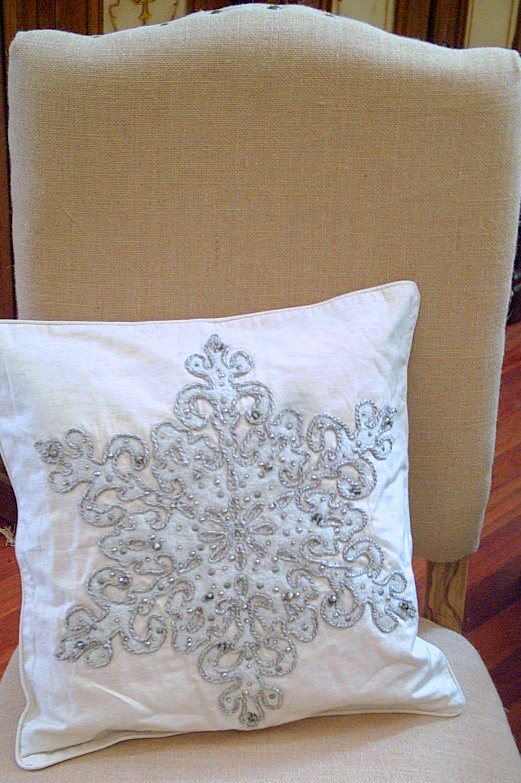 For pillows for these chairs I am using a snowflake beaded and jeweled pillow cover. Found them at the PB Outlet tent sale. Five dollars. Lovely snowfall last night. I just had to take a photo from the Master Bath window while I took a photo of the Swan faucets. 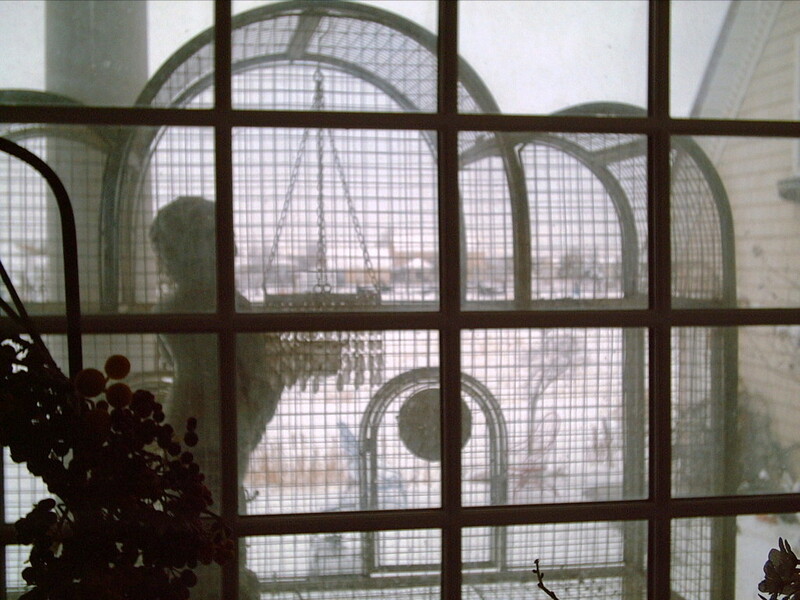 The bird aviary outside, too cold for birds. Our guest cottage with garage on the right ( my husband and I built this cottage ourselves, we lived in it while we were building our house in front). Thanks for looking! Please leave a comment below. I have posted another tablescape this week called Vintage Christmas Tree Tablescape. Check it out as well. 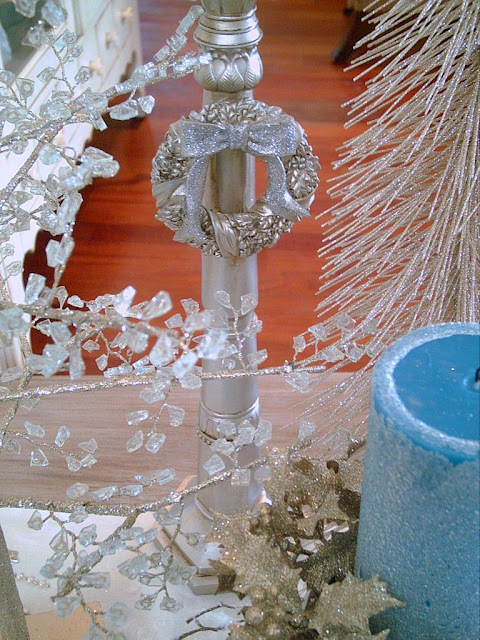 I will be sharing this post with Between Naps on the Porch for Tablescape Thursday. Beautiful! 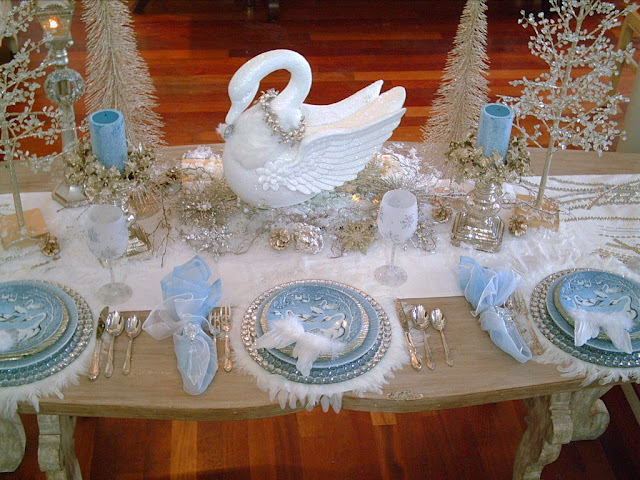 Your swan tablescape is so elegant! I feel the delicate, gentle movement of the swans by the lovely color choice of white and light blue. 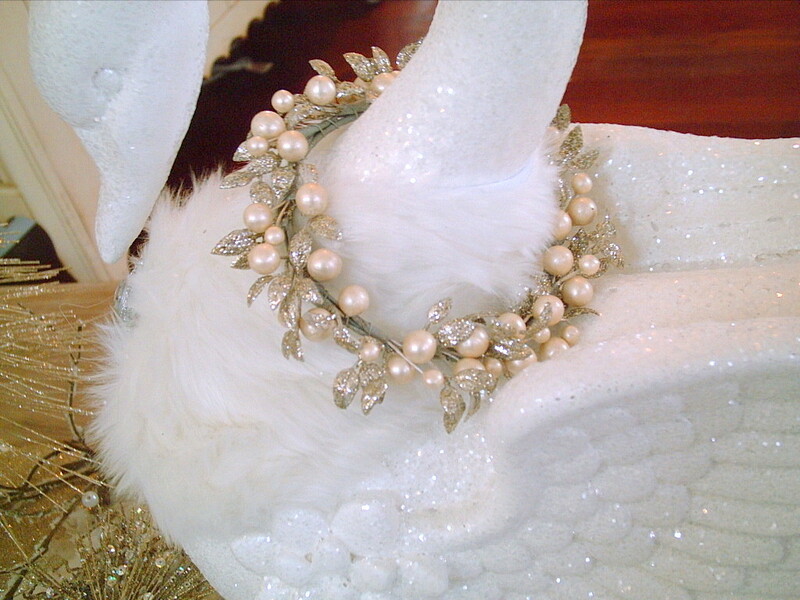 The added bling reminds me of the ripple of water that surrounds the swan as they swim slowly through a pond. 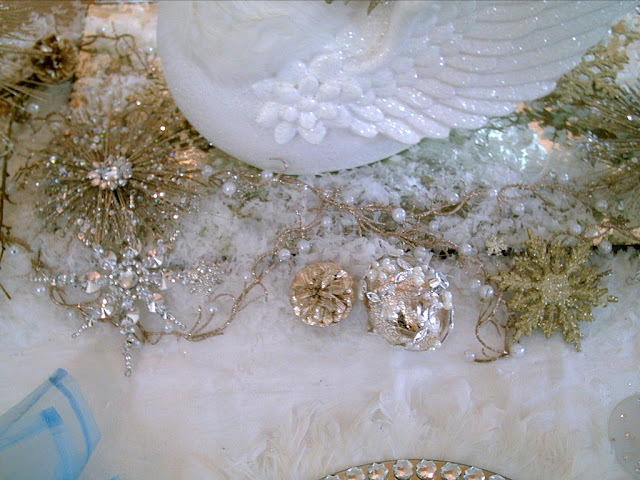 The white feathers add such a beautiful soft touch! Great work!!!! Jaw dropping beautiful! I love everything about this table and you should be patting yourself on the back. Absolutely stunning! This table is just exquisite! I can't pick a favorite thing! The runner, glasses, swan plate, chargers; it is all beautiful! How special it would be to sit at this table!!!! Wow! Just wow! Valerie, I don't know why I haven't known you before but I sure want to make your acquaintance. I'm adding you to my follows (G+) so I can go back after this holiday rush and peruse your old tablescapes, as well as be sure to catch future ones. These plates (those Limoges salads, oh my!) are just stunning. Merry Christmas to you! Oh, Valerie...this is sublime! 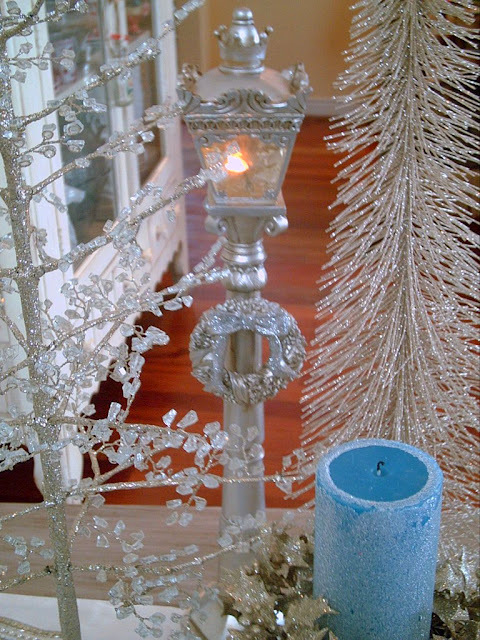 All of that beautiful silver and blue is winter magic. 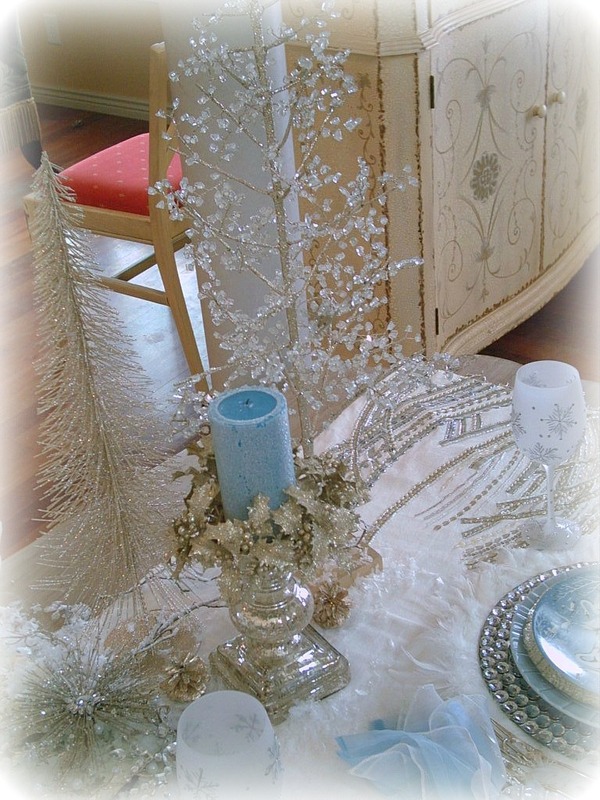 Such an elegant, beautiful and graceful tablescape! This is such a fanciful and elegant table! So worthy of the occasion. The blue is the perfect color. Have a Merry Christmas! Thanks so much for visiting me! Valerie, you have outdid yourself on this tablescape. 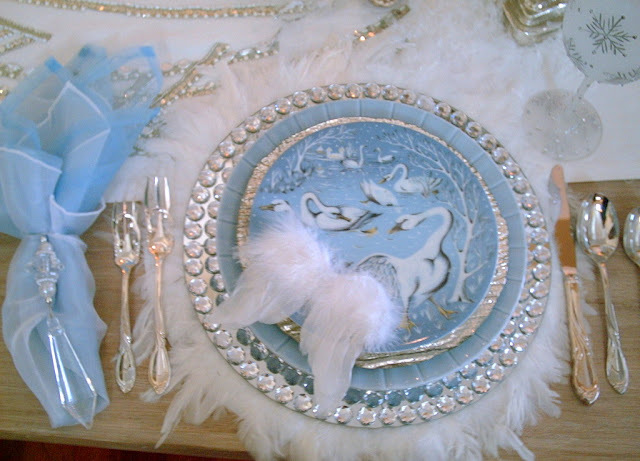 Love the swans and the pretty blue. Fancy and so elegant. 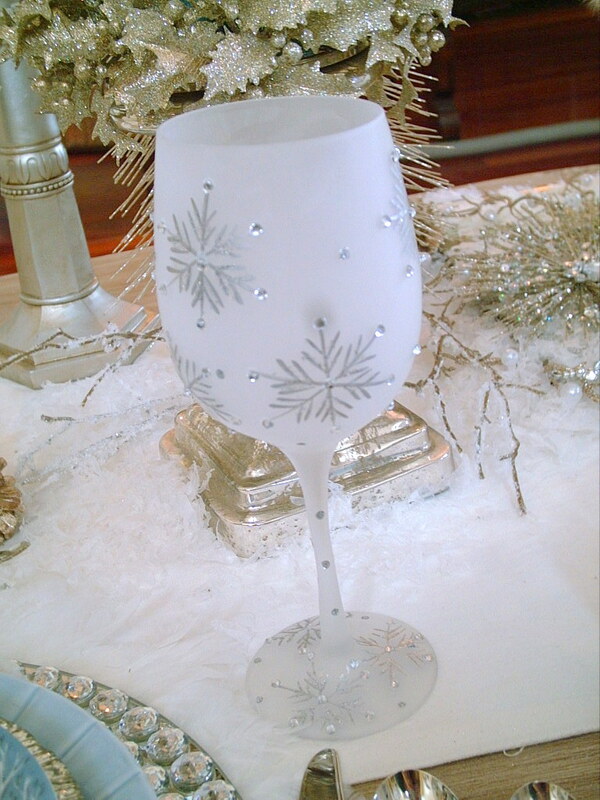 Perfect for a Christmas dinner party. 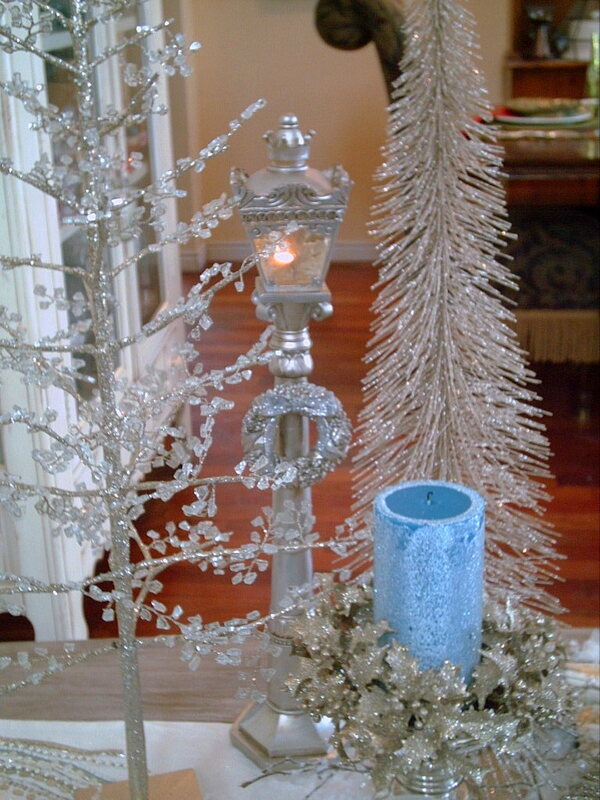 Your table is so bright and sparkly! 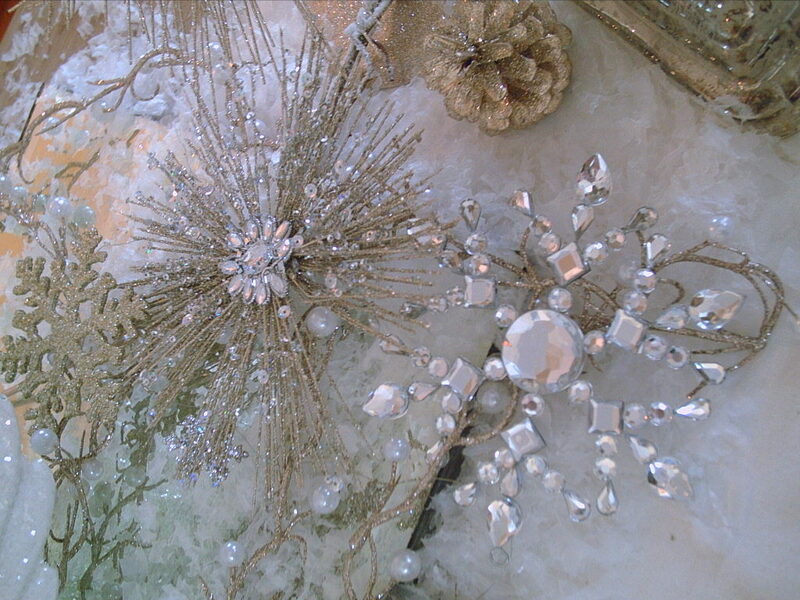 I like how the theme of the nature of snow crystals forming spirals and fractals is repeated. 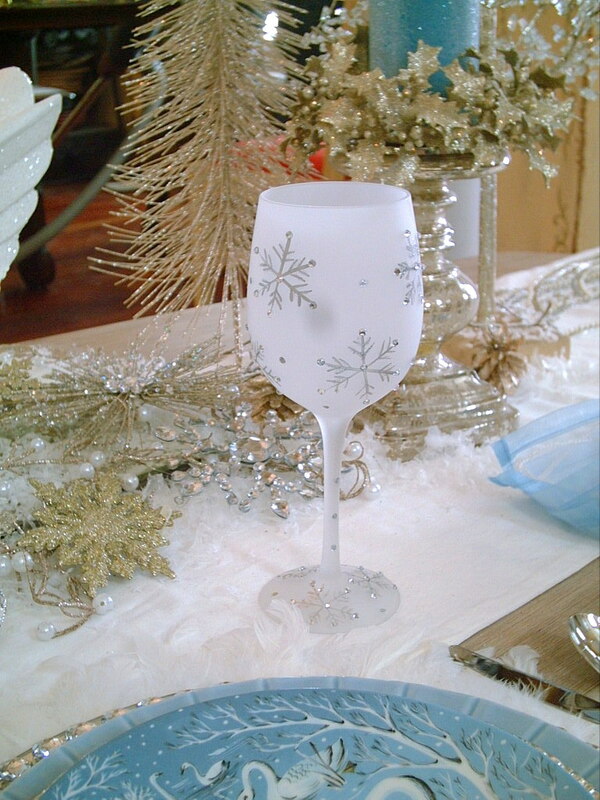 Making you feel the invigorating chill of winter, while warm and toasty inside. Valerie, Thanks for stopping by and for the sweet comments. I love your tablescape and I love your blog. Thanks! 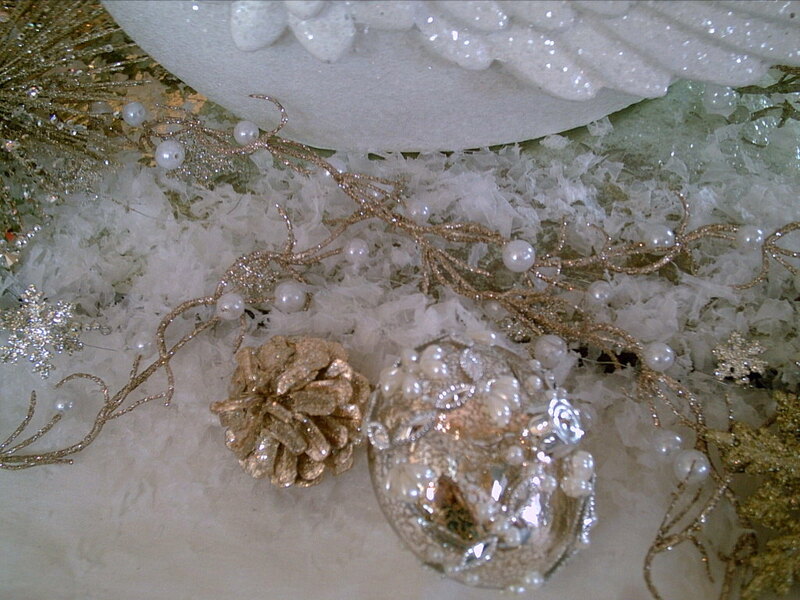 Your tablescapes are a love note to all who see them. Swans,like us, wait for you to feed us with your kindness. You keep coming back with morsels from your table. Thank you for sharing. Oh Valerie, This is beautiful. 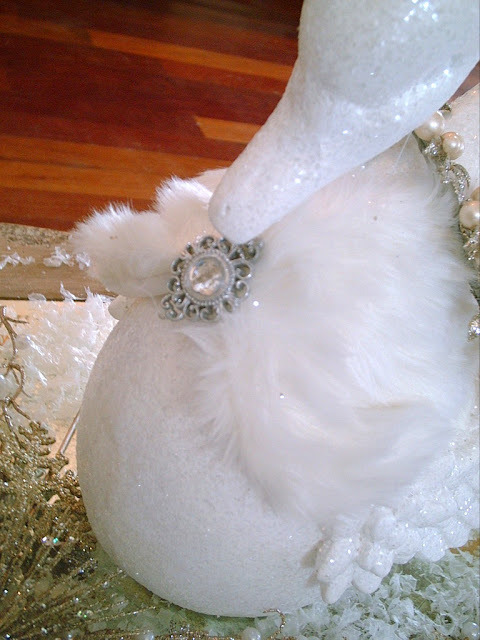 Yo captured all of the grace of the beautiful swans and all of the elegance of their regal bearing. This is a stunner, as usual! The swan plates are gorgeous, and all of the feathers go perfectly with them! 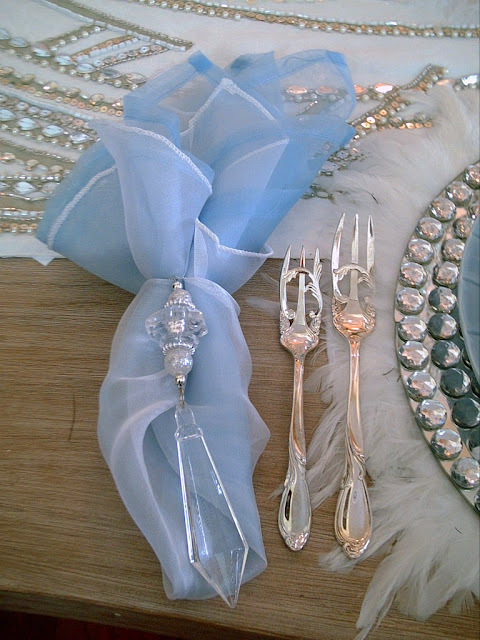 Wuldn't this be a fabulous table to set for someone who danced in Swan Lake!!! It is like an icy lake and your big swan is stunning. 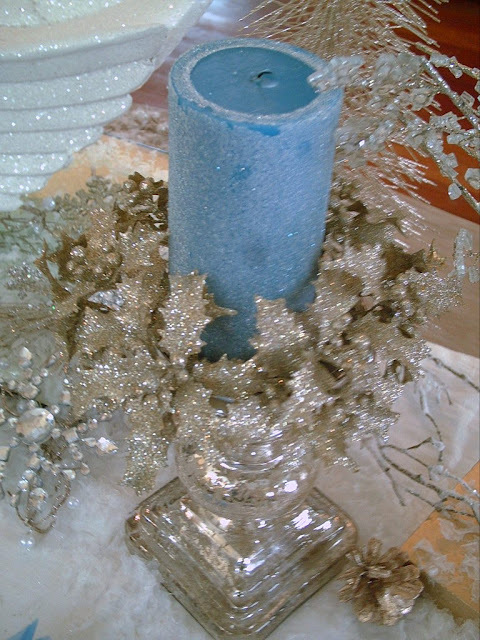 What a pretty table you have set them on too! Such a beautiful table, I love everything about it! 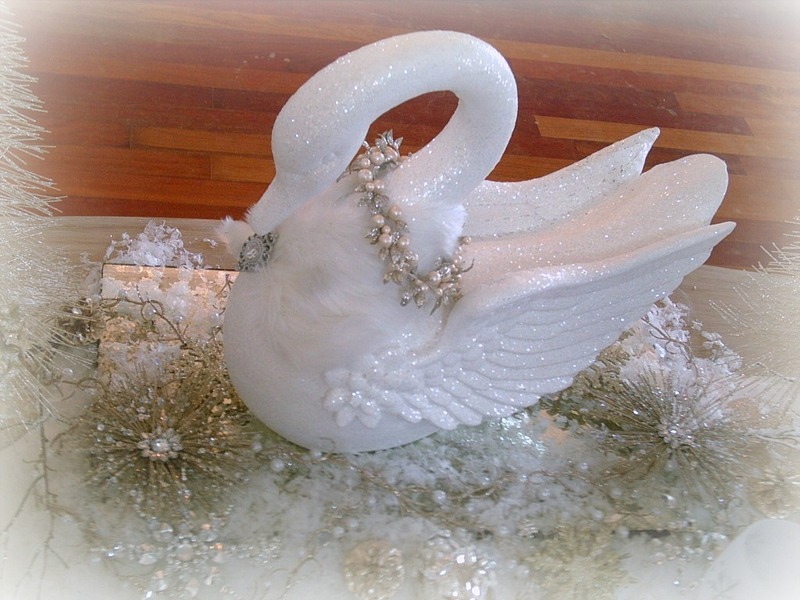 I used to have a silver swan like that and did a tablescape with it, but a bride was looking for a second one, saw it on the blog and I sold it to her. She was a ballerina who had danced Swan Lake. She would love those swan salad plates too! I will be featuring this at Celebrate Your Story! on Monday! Thank you for sharing at the party! Gorgeous! Love the theme and the way you styled it! 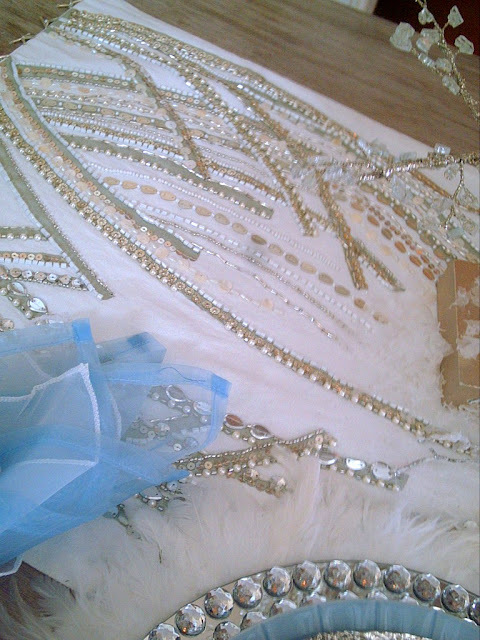 That beaded runner is beautiful and I love the feathers around the plates. 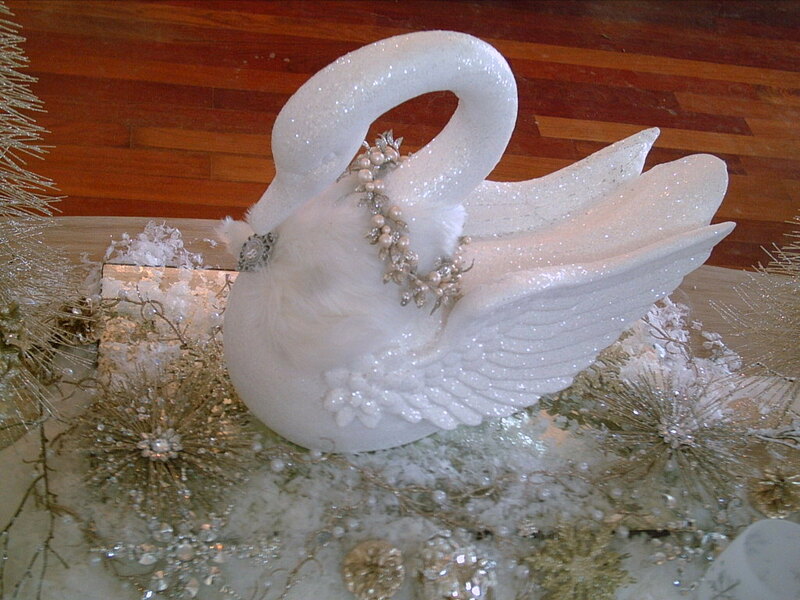 Of course, the centerpiece swan is perfect! New follower! Can't miss this gorgeous-ness. Truly a unique table setting that I enjoyed so much. 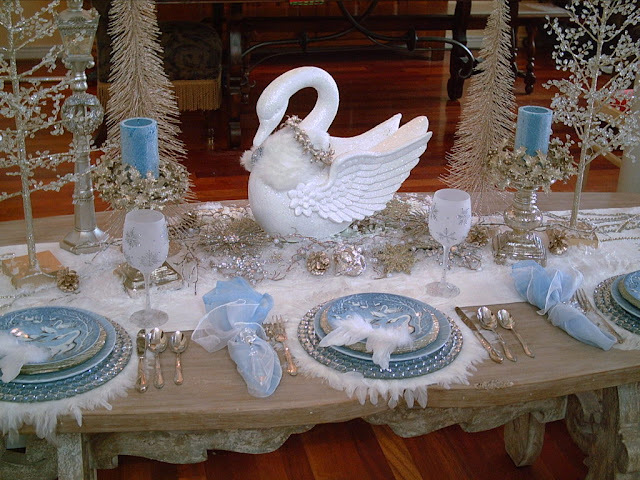 Valerie, what a gorgeous table...I love the grace of the swans and the runner is a beautiful addition! Wishing you a joy-filled week! Oh my goodness! 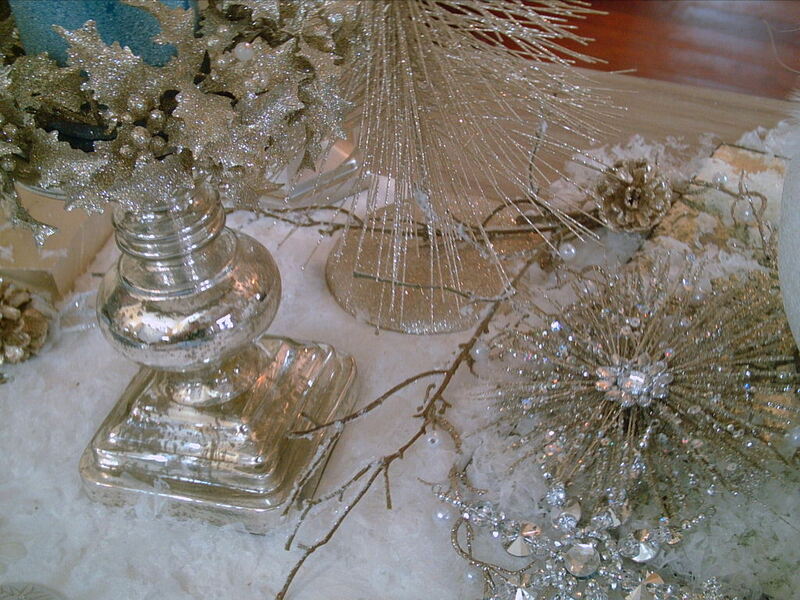 This is absolutely the most beautiful, elegant tablescape! I love everything about it and the theme is fabulous! Happy Holiday! 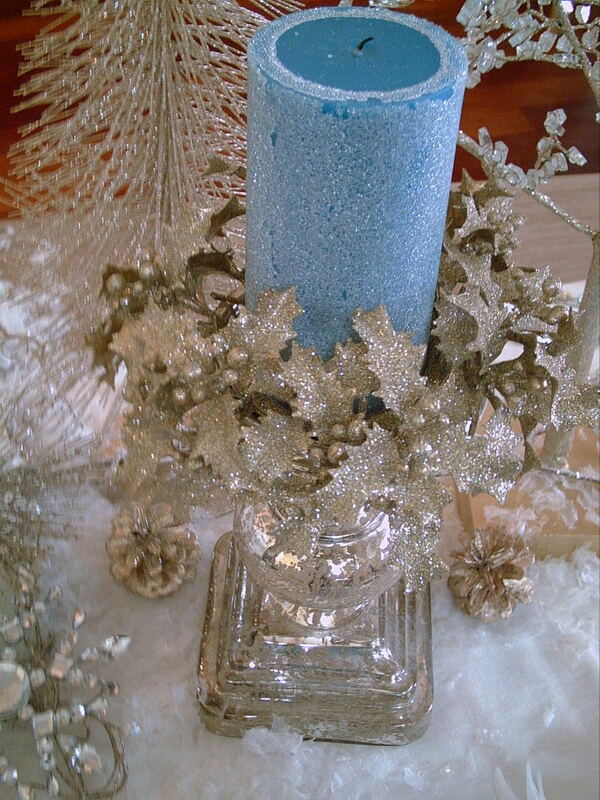 This is one of the loveliest tables I've ever seen! The pale blue and white is just right to suggest rippling water and graceful swans. Thank you for sharing it. Merry Christmas!